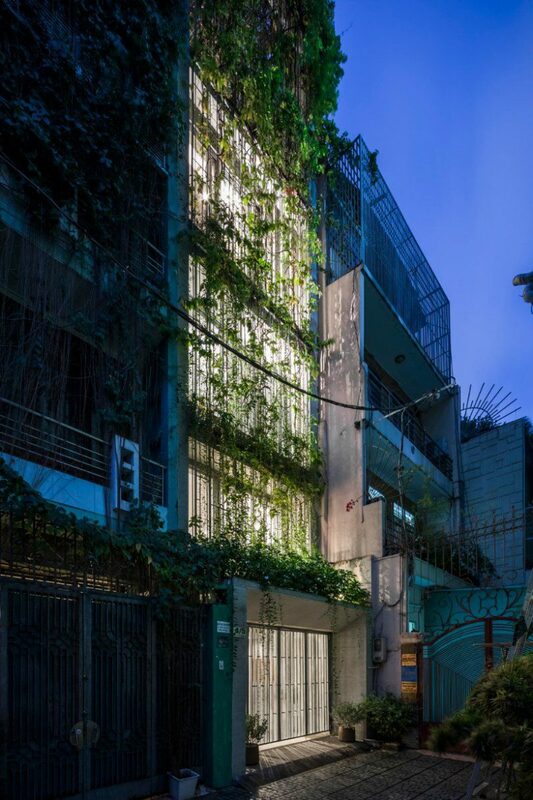 Vietnam-based VTN Architects experiments with light, wind, water, and local materials to explore new ways of creating green architecture and bring some calm to the urban concrete jungle. A glance into VTN Architects’ portfolio makes clear that they are experts in big scale projects that incorporate green. 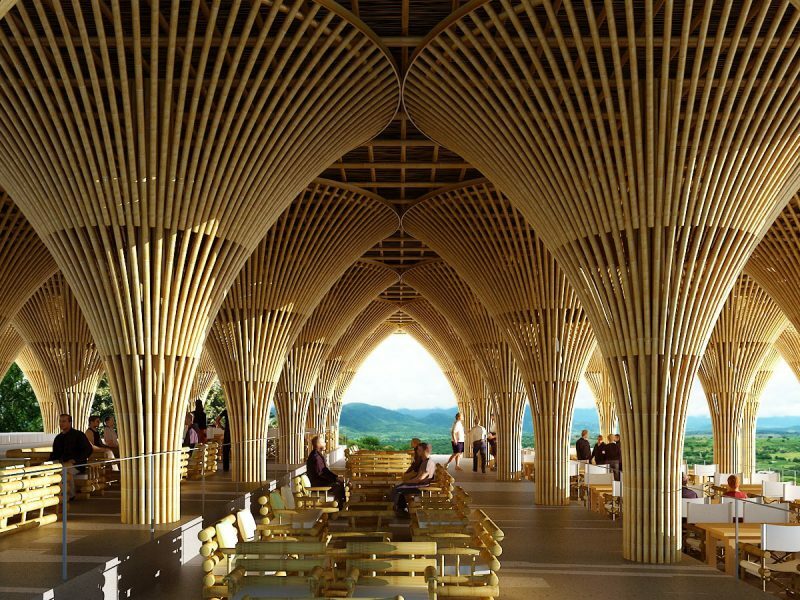 They either combine concrete with vegetation or they design buildings purely built using ‘green’ materials like bamboo, like their Jardines de Mexico. Or they create new, man made topographies like the FPT University in Ho Chi Minh City. VTN Architects are professionals in transforming the urban landscape. But apart from macro projects, VTN Architects also ventures into other types of commissions. Family houses in densely populated urban neighborhoods are great playgrounds for integrating green into the concrete jungle. 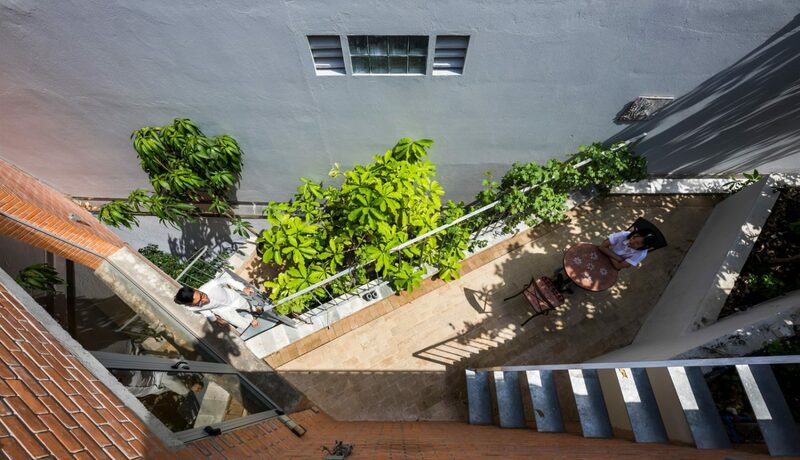 In Ho Chi Minh, on a narrow plot of 7×20 meter (23x66ft) enclosed by two buildings, they used voids to create the conditions to naturally ventilate the house. A continuous terrace weaves through the whole building, bringing the outdoor to the inside, even including a swimming pool in the narrow plot. 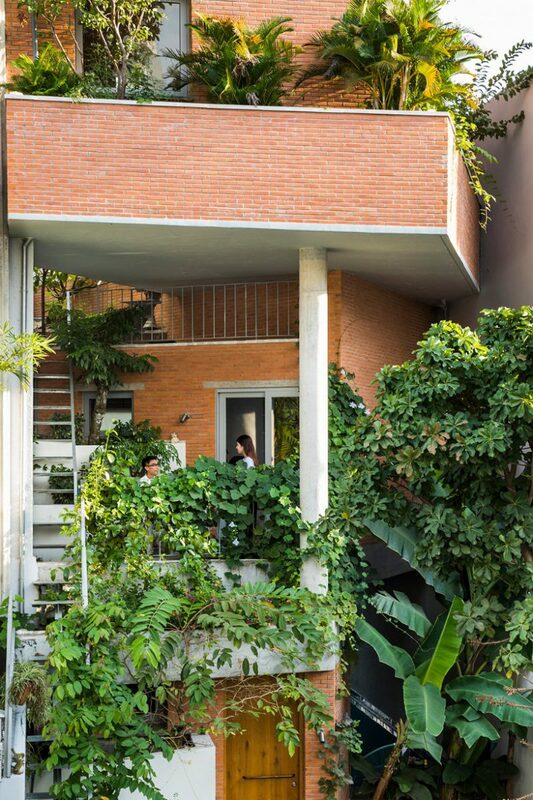 In the same city, you can find more examples by VTN Architects in which they introduce greenery to narrow urban plots. 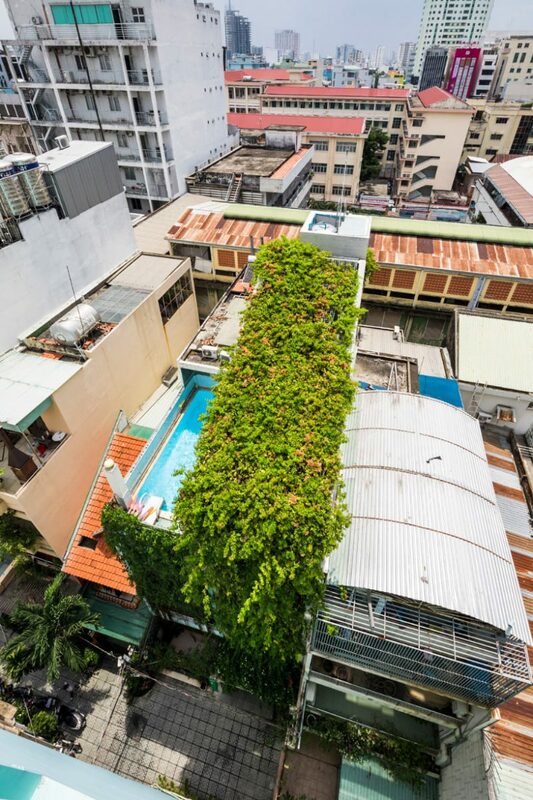 In this case, conditioned by a width of less than 4 meters (13 feet), a ‘green veil’ that covers the building, together with the use of voids creates a ‘breathing home’ in another densely populated neighborhood. Both of these houses are examples of how, by not occupying the whole built volume, buildings can breathe into themselves, providing some of the urban calm that is so needed in contemporary dense urban environments. 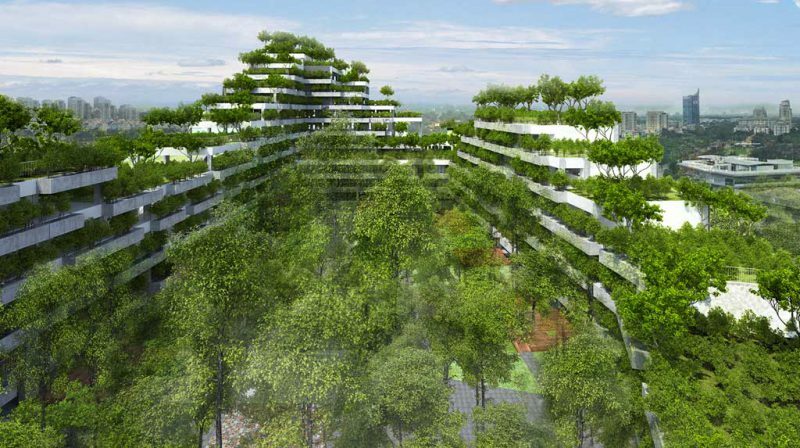 VTN Architects has built many more houses that use this same principle of (re)introducing green into the city. Another example which showcases breathing space in a dense Vietnamese city is the VAC-Library project, which, inspired by rural traditions, brings green to Hanoi. The most recent example of container urbanism has opened up in the Vietnamese resort town of Nha Trang – three containers have been stacked on top of each other to serve as the sleeping area of a hostel. In many regards the suggestion that we need to reorganize the inner cities to allow for self-driving vehicles seems more a continuation of the past than an anticipation of a positive future.